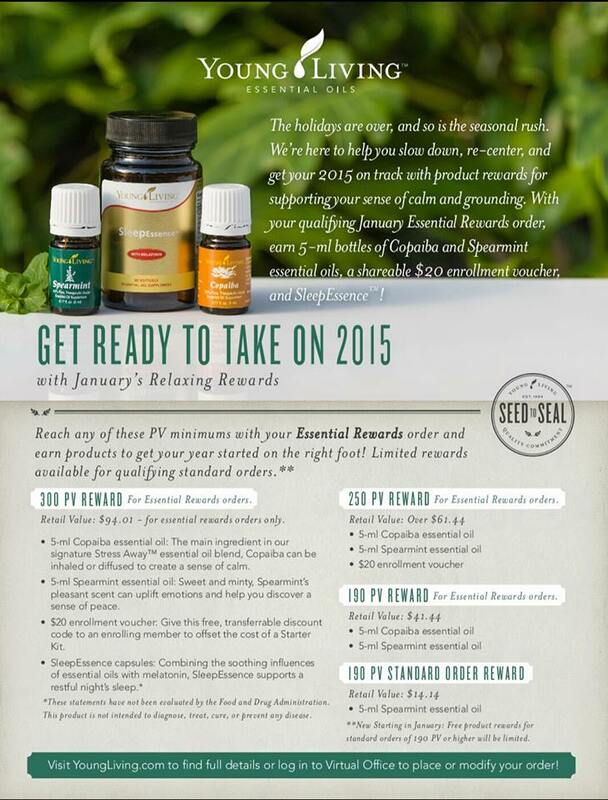 Get Ready to Take on 2015 with the January Promos! | I'm Oil In! This entry was posted in Monthly Promos and tagged $20 Enrollment Voucher, Copaiba, Essential Rewards, Free Oils, January Promo, Promotional, SleepEssence, Spearmint. Bookmark the permalink.